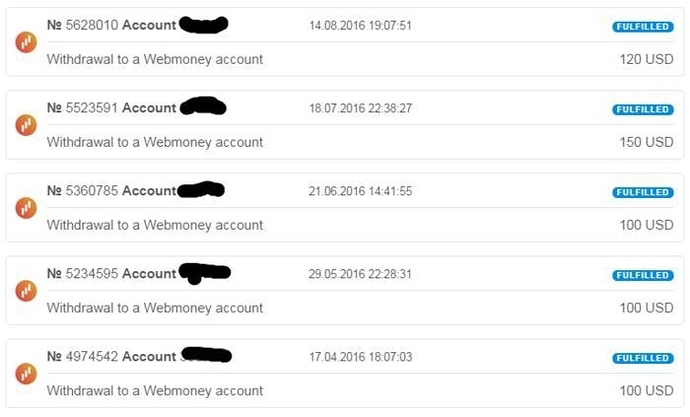 I always use webmoney too, and now want something else to try, now I think, they withdraw money as fast as via other payment systems…? Well, sure, I don’t understand scams, sooner or later they will be caught, and the money they earned will be taken away. I wish that were true but unfortunately very few will get caught and prosecuted. 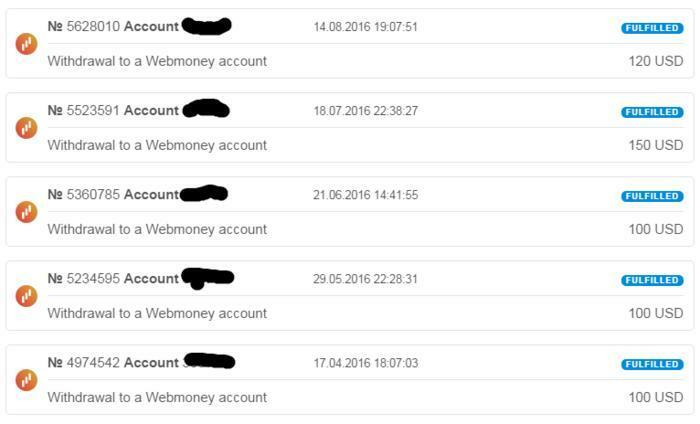 Don’t know, but perfect money is as fast as webmoney, so own it!) But in general the broker is reliable and proven, so I think it’s OK.
Pff, we have vacations only in our dreams. Last week I’ve been pretty much inactive with only a couple of deals. I think that the market is pretty unstable now for being a hero. I also had a pretty bad week, but still was able to make some money on pound. I’ve lost a little part of my deposit. Currently, I’m working hard on mistakes, trying to understand what was wrong. It’s great that you are working on mistakes. You can’t build a successful trading system without such work. In opposite to you, I had a very good week. Recently I’ve closed a deal with the growth of my deposit by 10%. I’m wondering what helped you to grow the deposit like that? As for me, I couldn’t find any reliable and good entrance point to open a deal. I was using different assets, including majors. This broker has many assets to offer, so choose whatever you want…Maybe you need to think about changing your trading system? Oh no, I’m not gonna change my trading system. I’ve been using it for about a year without any problems. Moreover, so much work has been invested in it. Hmm, I don’t know what to say here…Maybe it’s better for you to take a rest and change to binary options while forex trading is not giving you a good time? That’s strange because I was talking to them a couple of minutes ago and they were very active. Yes, via chat, I still don’t have any answer, which is really strange because usually they answer instantly.